Insurance has long battled a negative public image. Let’s face it. Insurance is an intangible product that provides nothing that even remotely resembles instant gratification (to which our 21st century society seems to be addicted), and which we hope we never need to use but expect ironclad full coverage protection if/when we do need to use it. What could possibly go wrong? This is a troubling reality because the insurance product does more good for society than almost any other product when disaster does strike. Insurance rebuilds lives and businesses. Insurance soothes when pain runs deep. Insurance quite literally saves lives. Of course, that’s when everything works as planned, which is most of the time. When insurance professionals properly match insurance coverages with client needs and takes the time to sell consultatively. And when consumers take responsibility for understanding their risks and risk tolerances and seek to be informed purchasers rather than assuming that the insurance industry is packed with employees capable of mind-reading. When it all works, it is beautiful. When it doesn’t, the press kicks into high gear to vilify greedy and mean-spirited insurance companies. I recently came across an article that specifically highlighted the rise (or decline, if you prefer) of the health insurance industry to among the most-hated industries in America. The article cited work done by the American Customer Satisfaction Index, and quoted its director, David VanAmburg – who just happens to be my former college roommate and longtime friend. David does good work, so I place significant credibility on the ACSI’s findings. 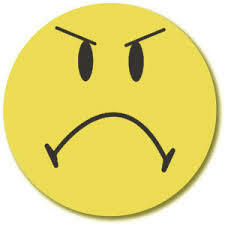 The natural inclination is to blame the increase in customer unhappiness with the health insurance industry on the Affordable Care Act (a.k.a. ObamaCare), but the ACSI findings didn’t find any direct evidence of this, though Mr. VanAmburg acknowledges that the influx of insureds under the ACA could be straining health insurers’ customer service resources. Most of the complaints seem to arise from bad experiences with health insurer call centers and the (limited) choice of insurance plans – many of which are saddled with higher premiums and higher deductibles. For all the good that the insurance industry does for people and society, we clearly have our work cut out for us. Rebuilding lives that are torn apart by accidents and disasters, getting business back open again after a fire, providing the resources to care for the sick and injured, are all noble and admirable benefits provided by the insurance industry. How can any industry that provides such benefits be among the “most hated” industries? We’ve got some work to do. On a sidenote, I recently blogged about federal government budget cuts in the crop insurance program. Being the economic libertarian that I am, I questioned whether or not these budget cuts were really so tragic to the crop insurance industry or the agricultural interests they served. Well, it’s all a moot point now, assuming President Obama signs the recently passed highway bill which restores the $3 billion that was initially cut from the crop insurance subsidy program. Eh, what’s another $3 billion in a half-trillion dollar budget deficit anyways? This entry was posted in Insurance, Obamacare and tagged ACSI, American Customer Satisfaction Index, crop insurance, health insurance on December 4, 2015 by drdavidallenbrown. The health insurance industry has a new high-profile employee. Marilyn Tavenner was the chief bureaucrat running Medicare, Medicaid, and the Obamacare exchanges. Now she’s the CEO of the health insurance trade group America’s Health Insurance Plans. No doubt, her deep connections to the Washington political class and the federal government’s new and deep role in our country’s health care system makes her an appealing hire. 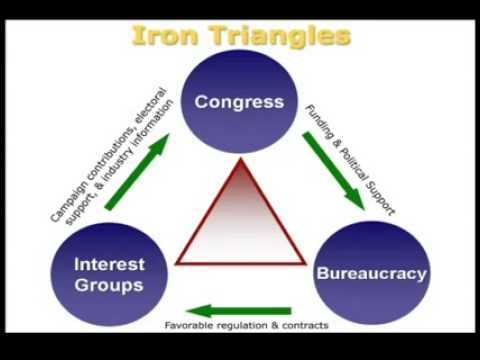 It’s also a stark example of the “iron triangle” that is common in the top echelons of American political power. Color me skeptical that this is a good thing for America’s individual health insurance providers, let alone consumers. This entry was posted in ACA, Obamacare, politics and tagged ACA, CMS, health insurance, lobbyist, obamacare on July 17, 2015 by drdavidallenbrown. 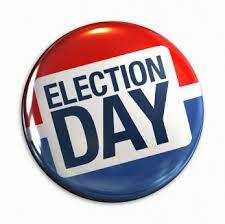 Last week I wrote about the recent midterm elections and a few potential effects on the insurance industry. In that post, I mentioned the Supreme Court’s acceptance of the King v. Burwell case which could ultimately reverse many of the Affordable Care Act’s (ACA) subsidies, which would ultimately lead to an unraveling of the current law. That eventuality would require the Obama Administration and the Republican-led Congress to reopen the law for significant legislative re-writing. Or under normal circumstances that would be the expectation. Of course, these are not normal times. 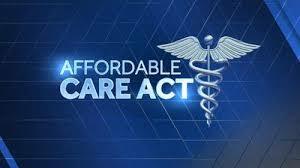 President Obama has taken several unilateral steps to modify the ACA without any legislative action. The President’s actions have led to criticisms of lawlessness and anti-Constitutional exertions of power. The Administration argues that they are simply taking common sense steps to smooth the implementation of the complex law. Based on last year’s enrollment troubles, they apparently didn’t take enough such actions. With more unilateral executive orders looming on immigration policy, nothing should be assumed to be beyond the reach of this Administration’s use of executive power, legitimate or otherwise. I can’t help but wonder when this entire ACA house-of-cards will finally tumble. It has been controversial and lacking any majority public support since its passage. It barely survived its first major Supreme Court challenge but the King v. Burwell case looks rather ominous to the law’s future in my opinion. Then just a few days after the Supreme Court accepted that case, the midterm elections gave new power and emboldened the Republican opposition and their desire to dramatically change, if not repeal, the law. Now this week we’ve seen and heard from economist Jonathan Gruber as he repeatedly spoke of the deceptions built into the ACA law and the selling thereof to the public and to Congress. Dozens of Representatives and Senators who fell for the deceptions and voted for the law have since lost their jobs. Making matters worse for the ACA is that Gruber’s vocalizations were insulting and arrogant, and cannot be dismissed as a one-time slip of the tongue. Here he is calling American voters stupid, and the deception (beginning at the 1:50 point of the video), and more insults. Taxpayers paid this guy to deceive them. At the Risky Business event hosted on the Ferris State campus last Tuesday, one of our insurance professional panelists was asked about the ACA. The panelist’s response began by saying, “It’s a train wreck.” Indeed. Most shams that are built as a house-of-cards on a foundation of lies, deception, and arrogance do eventually turn into a train wreck. The ACA train has had a bad couple of weeks and the Supreme Court could make it even worse next year. The train is picking up speed on very rickety rails. This is not going to end well. My fear is that we the people are going to be injured far more extensively than the conductors of this runaway train. This entry was posted in ACA, elections, Obamacare, politics and tagged ACA, health insurance, obamacare, politics on November 14, 2014 by drdavidallenbrown. The incessant bombardment of political campaign advertisements on television and radio have now given way to holiday advertisements and music. Thank all that is good and holy, amen. While some may say it’s too early for holiday cheer, I for one will gladly trade campaign ads for “Jingle Bells” any day of the week. The post-election dust is settling and everyone is taking stock of what the results may mean for a myriad of issues, including insurance. Michigan’s political climate remained largely unchanged in terms of the balance of power in the legislature, governor’s office, and supreme court. So what, if anything, does that imply for reforms to the Michigan no-fault auto insurance law and the prospect of some premium relief for Michigan auto insurance consumers? The unlimited lifetime medical benefits that figure prominently in the cost of Michigan auto insurance continue to be an actuarial challenge (I’m being polite). So will another two years of complete Republican control of state government prompt any action when nothing has happened in the last few years of complete Republican control? More interesting is the sea change at the national level. Republicans rolled to control of the Senate, increased their caucus in the House, and won more Governerships nationally. Most notably, the Republicans took over the Governor’s office in some very Democratic states: Maryland, Illinois, and Massachusetts. This sets the stage for considerable drama over the next two years, and from an insurance perspective the future of health insurance is very much at the center of the drama. It is clear that the Affordable Care Act will come under fire in the new Republican Congress and that efforts to repeal or fundamentally alter the ACA will be met with Mr. Obama’s veto pen. However, the Supreme Court could force the hand of both sides as early as next June. It was just reported today that the Supreme Court will take up the King v. Burwell case that challenges the legality of some ACA subsidies. If the Court strikes down the subsidies, the ACA crumbles unless and until the gaping hole left by the subsidies is repaired by Mr. Obama and the Republican Congress. That opens the entire law up for legislative remodeling. During the debate over the ACA several years ago, President Obama famously said, “elections have consequences” and “I won.” I wonder how he feels about that same line of reasoning today. This entry was posted in ACA, elections, Insurance, Obamacare, politics and tagged ACA, election, insurance, obamacare, politics on November 7, 2014 by drdavidallenbrown. As I mentioned a couple of weeks ago, moving week has arrived for me. So I’m going to share just a few thoughts on the latest developments in our nation’s raging debate over health insurance, and then leave it to those of you who wish to post comments to debate the point while I’m busy toting furniture around. Two different courts recently issued polar-opposite rulings on the question of whether Obamacare’s subsidies are legal for citizens of states who opted not to build their own health insurance exchanges. The plain language of the statute clearly says that the subsidies may only be paid to citizens purchasing health insurance through a state-run exchange. The statutory language is not a mistake, though that would be reasonable presumption given the haste and political gyrations through which the bill became law in 2010. The disputed language actually accurately reflects the political calculation made by the Democrats during the construction of the law. They thought that this language would create an irresistible carrot to entice states to develop their own exchanges. It backfired when 36 states decided not to offer their own exchanges, leaving it up to the Feds instead. Government lawyers wrote in the court filing that the July decision, if left intact, would “impose a severe hardship” on people who currently get the subsidies in the form of tax credits. The appeals court’s ruling led to “harsh and illogical results,” the government lawyers’ court filing said. This entry was posted in Insurance, Obamacare, politics and tagged insurance, obamacare, politics on August 5, 2014 by drdavidallenbrown.